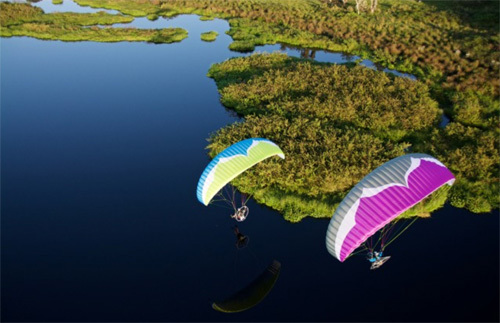 Ozone was created in 1998 by a group of passionate PG pilots from England, including the only double world champions of hang gliding and paragliding; Rob Whittall and John Pendry. The aim was to create a company of pilots designing wings for pilots to give performance at all levels, never forgetting safety. Today Ozone is one the top companies in paragliding and power kites and is working hard to bring those talents to the paramotoring and kitesurfing worlds. The goal was to keep the excellent performance in sink rate and glide of our paragliders, the lightness and ease of inflation, the “Ozone” touch in the handling, but adding the possibility of reaching very high speed plus high stability to compete against the “Reflex” type wings, which at the time were setting new standards in PPG competitions. This is how Ozone became seriously involved in paramotoring in 2005. 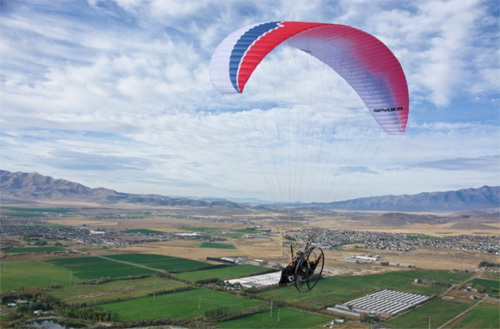 Many of our clients are also "crossover" pilots, these are pilots that also fly without power, but want a glider to be able to do both Paragliding and Paramotoring. 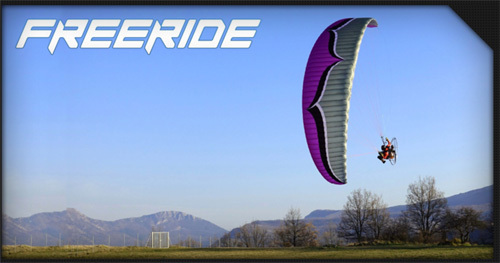 The gliders listed to the left under Ozone Gliders are all very good for crossover use. As always, you are welcome to contact us with any questions you may have about this.